The eighth house is called the house of death. But it is the house of death in life, rather than the end of life. 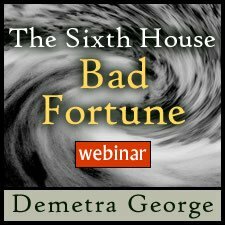 When we have gone through an eighth house experience we often feel as though we have been initiated into a new life. We are taken to places we could not have imagined. Both Mars and Pluto are associated with this Scorpionic house. And although we may fear entering the eighth house dimension, we can also have no experiences of intimacy with others without having died to certain aspects of ourselves first. 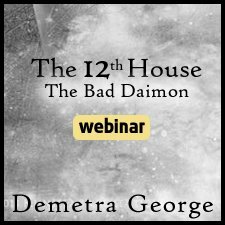 During this webinar we shall attempt to shed light into this house of deep vulnerability. 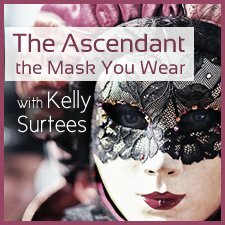 *Darby’s internet connection was weak the day of the webinar, and every now and then a word would be inaudible. So we have included a written transcript of the webinar at no extra charge, to make it easier to follow along. a good description about the 8 house ! The 8th hse is such a deep and profound territory of experience. Dífficult to encapsulate in an hour and a half webinar. But Darby is excellent and she did a very good job of it. 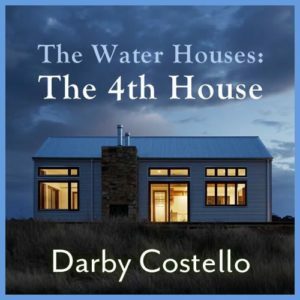 I loved Darby's insights about all the water houses. I'd definitely recommend it to further your understanding about these subjective, personal realms. Great class, but connection issues. I really enjoyed this presenter; more so than the last one, in fact. The only critique is that she was having connection issues, especially later in the class. She kept cutting out, which was a bit annoying. But I did enjoy what she had to say, and learned a lot.